Supplies in Overkill’s The Walking Dead are limited and greatly treasured. You can gather them the old fashioned way or use our guide to help increase your supplies. Supplies are categorized into 3 sections; scrap, provisions, and equipment. 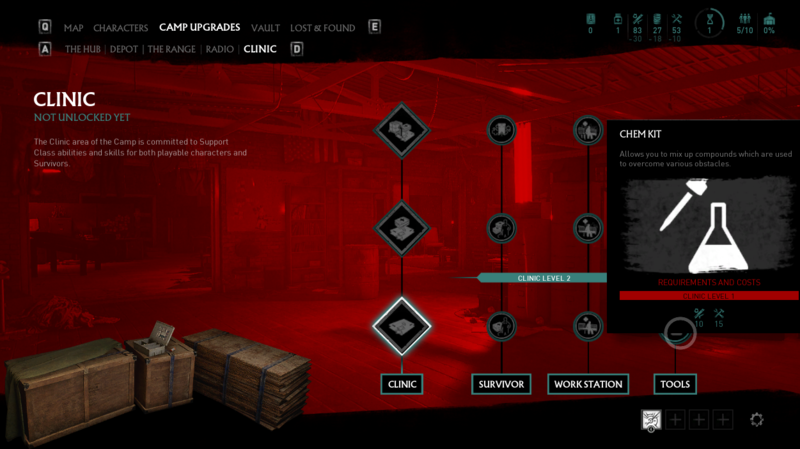 These influence the morale of your camp and when you select a mission the number of each is highlighted. To increase your supply rate have the Chem Kit equipped. Unlike other tools which unlock special areas and disarm traps, you can use Chem Kits objects to increase Camp Supplies. Using this method you can easily earn 100 supplies.